Director signifies a person that manages or controls the activities and business operations of the company and helps in conducting the business. Director as the name suggests directs the actions of the company. A person can be appointed as director of the company either by the Board of directors or by its shareholders. 1.	Who can become director of the company? Only individuals can become directors of the company (whether Indian or foreign national, both are eligible). 2. What is the minimum number of directors required in the company? One Person company: One Director. Also there must be one director in the company who is residing in India for at least a period of 182 days in the preceding calendar year. 3. What is the maximum number of directors that can be appointed in the Company? 4. What is the purpose of DSC ? DSC is a tool through which any document or form can be signed electronically. 5. What does DIN mean? DIN stands for Director Identification Number. It is the unique identity number given to the person who intends to become director and is valid for lifetime. 6. Is DIN necessary for being appointed as a director of a company? Yes, a person cannot become director without having a valid DIN. 7. Is there any age limit for the directors? There is no age limit for appointment as director of the company except for appointment of MD, WTD and manager where minimum age being 21 years and maximum being 70 years. However a person having age greater than 70years can become director of the company by passing Special Resolution. Self attested copy of address proof (Voter ID, Passport, Driving License, Aadhar Card, Electricity Bill, Bank Statement, Mobile Bill, Telephone Bill). Note: Electricity Bill, Bank Statement, Mobile Bill, Telephone Bill shall not be older than 2 months. 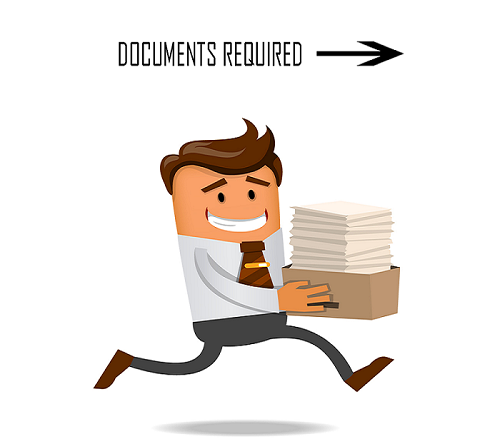 Once we receive all the required documents, it takes 3-4days for appointment of a Director in a company subject to time taken by government in processing the documents.